The US Consumer Product Safety Commission (“CPSC”) reports this recall involves 14 inch ThinkPad X1 Carbon 5th Generation Laptop Computers. They were sold in silver and black. 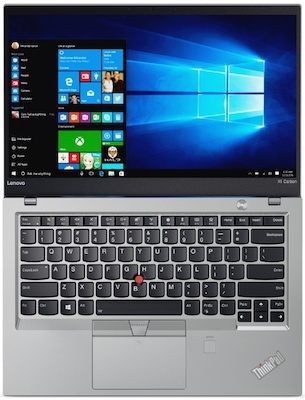 The product name “5th Generation Lenovo ThinkPad X1 Carbon” the machine type 20HQ, 20HR, 20K3 or 20K4 and the serial number or S/N are printed on the bottom of the laptop. Laptops manufacture dates from 16/12 through 17/10 (for December 2016 through October 2017) are included in the recall. The manufacturing date codes can be found on the bottom of the Laptop. Please consult the photograph above for details of the product’s packaging, design and retail presentation. Additional images of the recalled Laptop Computers are pictured on the Web site above. According to the CPSC, an unfastened internal screw in the recalled Laptop Computers can damage the battery causing ovearheating, posing a fire and burn hazard. If you believe you have purchased or have in your possession any of the recalled Laptop Computers, please do not use them. Kindly visit Levono’s Web site for this recall at https://support.lenovo.com/X1C_5GEN_RECALL to see if your Laptop is included in the recall and for assistance in locating the nearest authorized Levono repair center for inspection and repair. If the Laptop is included in the recall, please stop using it immediately until it is safely repaired. If you have any questions about this recall notification, please contact Lenovo Services at 1-800-426-7378, 24 hours a day, seven days a week. Alternatively, you visit the company’s Web site at https://support.lenovo.com/X1C_5GEN_RECALL or http://www.lenovo.com and click on the “Products and Services” link to access the recall section. ==> To see other recalls and notifications caused by suspected faulty and/or dangerous Laptop Computers, please search for “laptop” using the Search Box at the top of this page. ==> To see other recalls and notifications relating to products made, marketed and/or sold by Lenovo Services, please search for “Lenovo” using the Search Box at the top of this page.